Hello! 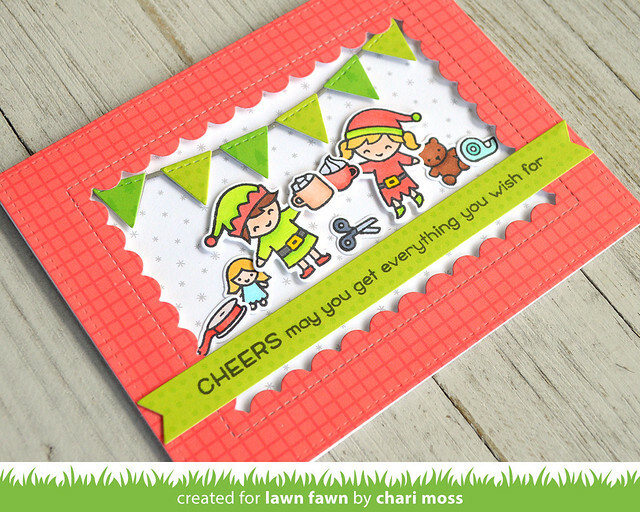 Welcome to Lawn Fawn September Inspiration Week! This week we will be featuring more fun products from the Fall/Winter release. Today we are sharing projects with Holiday Helpers! These cute little helpers are framed up in a frame cut with the reverse stitched scalloped rectangle from red Really Rainbow Christmas paper. The white snowflake paper makes a perfect background. I added a Christmas bunting hanging inside the frame and a sentiment as well both cut from greens from the Really Rainbow Christmas collection. My second card features a big tower of packages ready to go out from the north pole. I used Knit Picky christmas paper for the background and the wrapping paper. 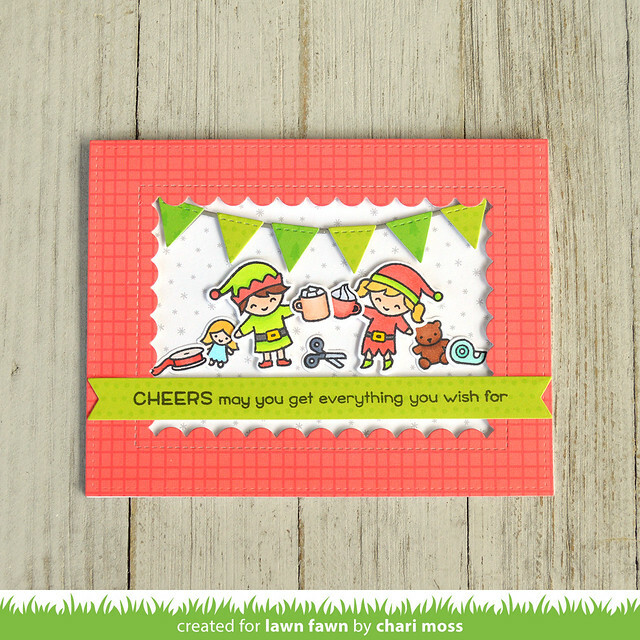 Be sure to check out the Lawn Fawn blog for more Happy Helper inspiration. 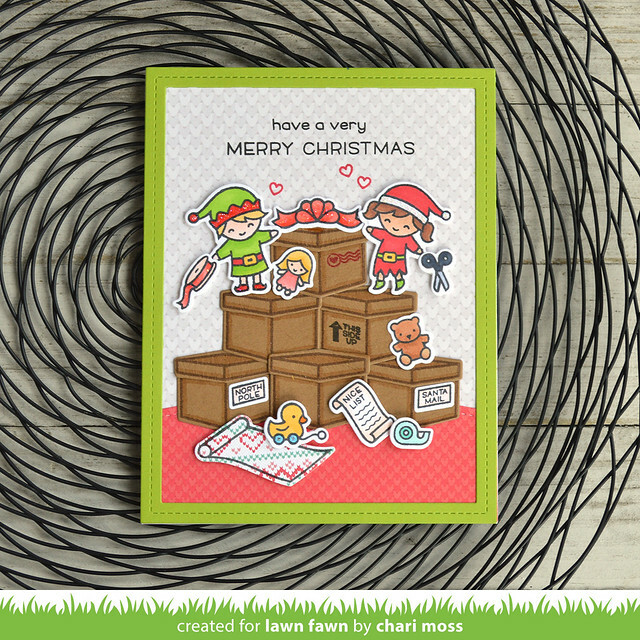 You can also see just how I created the first card as part of the Holiday Helpers intro video! Super cute cards!!! I love all the boxes!!! Great cards. The colors you chose are so cheerful and bright.